Gilchrist Metal Fabricating Company of Hudson, New Hampshire has recently announced plans to implement facility expansion and equipment upgrades by the end of April, 2016. The expansion of Gilchrist Metal Fabricating Company’s 70,000 sq. foot metal fabrication and machining facility coincides with the acquisition of an AweA Double Column 5-face machining center, which will provide advanced large machining for small and large volume fabrication projects. In order to suit the machine, the company’s facility at 12 Park Ave in Hudson, NH, GMFCO is raising the roof! With its heavy duty working-table, large multi-axis travel, and highly flexible machining heads, the new 5-face machining center will allow GMFCO to accommodate larger machining projects with greater efficiency and speed. GMFCO’s President Jack Gilchrist regards this major facility addition as both pragmatic and strategic. 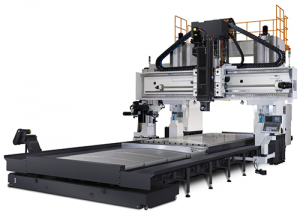 The implementation of a new 5 axis machining center will make the company one of few metal fabricators in New England capable of high volume large capacity machining for parts and components as large as 275’’ long X 157’’ wide x 96’’ high X 44,000 lbs. This addition will enable GMFCO to provide a wider variety of customers with the large machining required for parts and components vital to industries and applications ranging from general construction and architectural steel to power generation, marine components, food processing equipment, and beyond. With its large capacity tool changer for milling and drilling tooling as well as two 90 degree angle heads and state of the art material handling system, the new bridge mill will also allow GMFCO to provide large machined fabrications faster and more efficiently, accommodating the ever-growing demand for greater cost efficiency and tighter production schedules. With facility expansions slated to be complete by April 15th, the new 5 axis machine is expected to be fully operational by April 30th. Having a “green and sustainable” business approach is not really a new concept to most of us in the metal fabricating industries. We’ve been sustainable from day one. 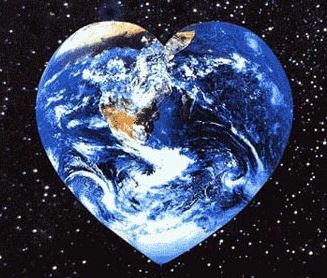 Earth Day was a few short weeks ago and we noticed that not as much hoopla seemed to be made of it this year as in years past. So we got to thinking that it might be good to remind folks that, in Earthgeneral, metal fabricators are good environmental stewards year round. We’re proud to say the metalworking industries have always done their share for conservation and sustainability. Metal is extremely recyclable. The steel and metal working industries have been recycling countless tons of their own products and byproducts since smelting was invented, and that was a really long time ago! Gilchrist Metal Fabricating Company has been pioneering the efficient use of resources and the minimization of its impact on the environment since its founding in 1975. Not only does this serve the best interest of future generations, it also has a positive effect on the business side of the equation. Consuming less of anything means you don’t need to pay for as much of it. The recycling of steel and other metals has immediate and significant impact on the amount of mining needed to supply demand. Mining ore can devastate or at least transform large tracts ofSteel Scrap pristine land. 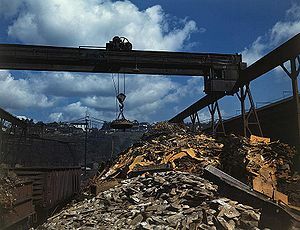 Heavy machinery & equipment needed for road building, mining and transportation add plumes of carbon to the atmosphere. The more we recycle, the more we preserve open spaces. And the good news is that recycling scrap metal is very efficient in the production of new steel, iron, aluminum and some other metals. According to the EPA, in 2008 the steel industry recovered and recycled more than 14 million tons of shredded steel scrap from automobiles—a recycling rate of 95 percent. It’s worth repeating. Recovering steel not only saves money, but also dramatically reduces “greenhouse gasses” and energy consumption, compared to making steel from virgin materials. It really isn’t more expensive to operate a “green” business when you do it for the right reasons. Conserving valuable resources and lowering energy costs is simply being efficient and cost effective. The steps we’ve listed are having major impacts on lowering some of our more burdensome costs. It’s nice to know we’re helping to keep the planet a little tidier at the same time.